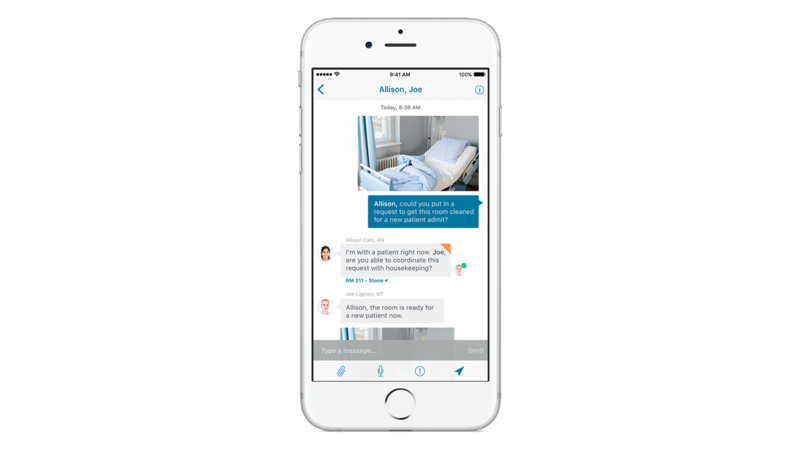 Message for Healthcare allows you to share texts, photos, videos and voice messages on iPhone, iPad and Apple Watch. Use your camera and microphone to take pictures and dictate messages. Messages can sync to all of your iOS devices and are retained until you delete them. Using Apple iBeacon, Location Services and Maps, Message for Healthcare allows you to search and find team members’ locations within the medical facility. Access the staff directory to search for and share contacts. Set alerts to sound a tone and/or vibrate just as you do for other iOS apps. Get alerted to new or urgent messages based on tags or filters set by you or your organization. Filter messages by sender or content to respond more quickly to emergencies and appointments, and avoid wasting time looking for important data. IT analysts can report on usage, response time and other metrics. The app functions like iMessage, Mail and similar iOS apps – including swipe left to delete. Use Touch ID to login. Unread messages appear at the top of the Inbox, followed by previously viewed messages. Note urgent messages and compose new ones with quick taps.